At our Westford practice, excellent care and patient comfort are our highest priorities. Our team of doctors, Narges Rashid, DMD, Joel Ross, DMD, and periodontists Jake Park, DDS are passionate about creating beautiful, healthy smiles. We treat individuals and families, offering a full suite of services that resolve general dental problems, cosmetic imperfections, or advanced soft tissue and bone concerns. To our team, it does not matter how simple or complex the dental concerns are, we are gentle and compassionate and treat every patient like family. This commitment to a personal touch makes our dental care some of the best in Westford. Dr. Rashid, Dr. Ross, and Dr. Park take their time getting to know patients and helping them feel comfortable. Our doctors are supported by experienced hygienists and a caring staff, making sure every aspect of the visit is as positive as possible. We tailor the visit according to our patients’ needs, whether they’re looking to get a thorough cleaning or a more advanced procedure like implant placement. We explain the options patients have for treatment and highlight the pros and cons of each procedure. The smile is a key component of self-esteem, and many people are not as confident as they could be due to dental wear. Our mission is to improve the health of the whole smile while also enhancing its beauty, allowing patients to enjoy natural-looking teeth for a lifetime. All general, restorative, and cosmetic treatments are provided in-house, maintaining the quality of work while also making your visits convenient. Our doctors and team are happy to see you, whether you’re a new or returning patient. If you are looking for professional dental care with a personal touch, contact our Westford dental practice. We see patients of all ages, from children to seniors, and have the expertise to address nearly any concern. Schedule an appointment or consultation today! 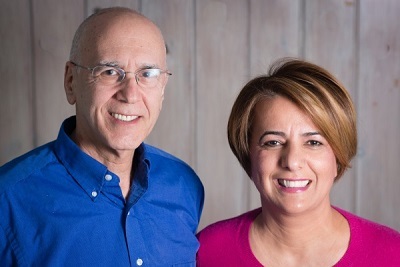 Westford Dentist, Dr. Joel Ross & Dr. Narges Rashid are dental professionals dedicated to General, Family & Cosmetic Dentistry such as Dental Exams, Cleanings, X-rays, Fluoride, Dental Makeovers, Teeth Whitening, Veneers, Crowns, & more. Please come and visit Westford, MA dentist Westford Dentistry.